Classic Pool Construction Inc. The oldest pool cont. co in the K.C. area with over 42 years exp. in vinyl liner and gunite pool construction. Our specialty is Residential Pool Design and Construction. We start with a short visit or site survey to determine size, shape and type of pool that fits your family needs. We will also create a work sheet with you so we can give an accurate price quote and start date. 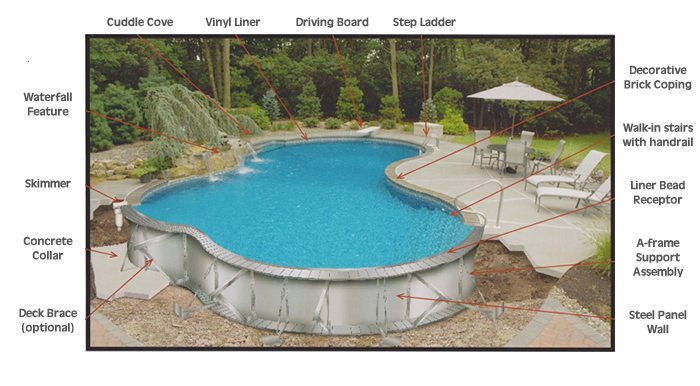 Vinyl liner pool construction usually takes 7-10 days Gunite pool construction takes much more time 4-6 weeks. We handle City building permits and Home Owners Association. We have the experience, equipment and employees to make your dreams of owing a pool come true. Our goal is to build your pool as quickly as possible. We understand what you want, the finished pool asap at Classic Pool we have created new recreational life styles for many families. Let us help you design the pool you want at an affordable price.